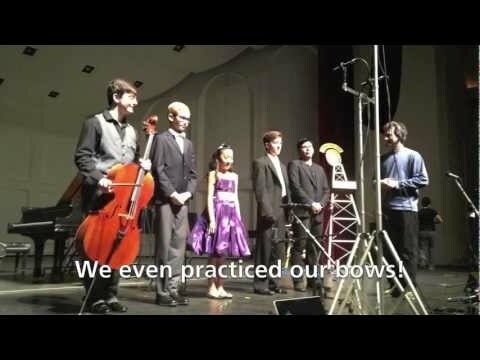 In 2015, Elli awarded joint 1st prize in the Senior Division of the 2015 Lipinski and Wieniawski International Competition for Young Violinists! Elli Choi appeared on Show 268, recorded in February 2013, at age 11. 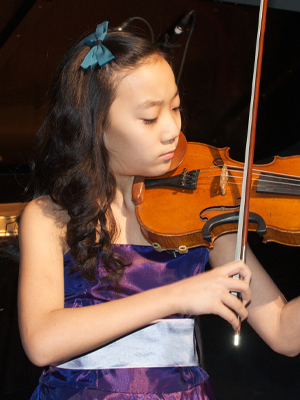 Elli Choi (violin), 11, is originally from San Diego but now resides in New York City where she is a student of Hyo Kang at the Julliard Pre-College Division. In addition to playing in a string ensemble at her school, she sings in the choir and also plays piano and recorder. She has attended the Mozarteum International Summer Academy in Austria. Outside of music, she fills her time with gymnastics, running, and dancing. She really enjoys riding in roller coasters and waterslides. Elli is a Jack Kent Cooke Young Artist.